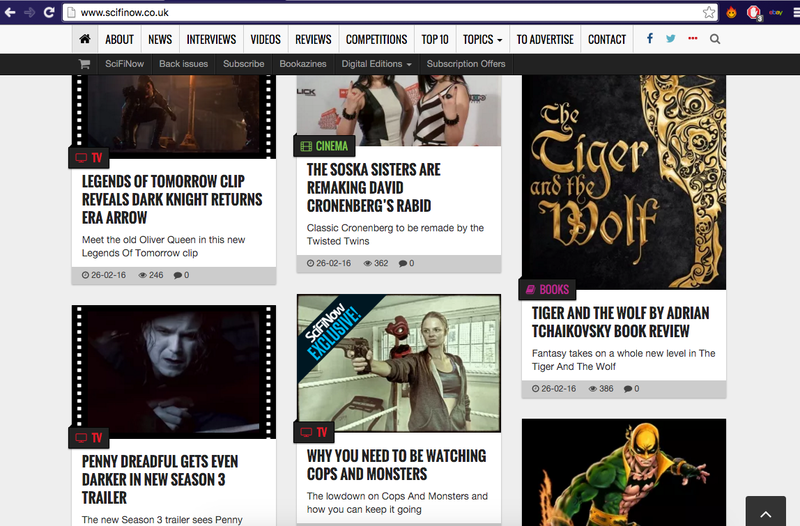 We’ve been featured on the official SciFiNow Magazine’s website with an exclusive article on their website. Thanks to Steve Wright for supporting our show! Just 2 days remain on our episode 4 crowdfunding campaign if you’d like to support us in making new episodes. ← Cops and Monsters at Capital Sci-Fi Comic Con!